A man has been jailed in the first case using a new law aimed at strengthening protection of nurses, police and other emergency workers against violence. Daniel Hilton, 27, of Hawthorne Grove, Wigan, was sent to prison for three months on 27 November for biting a police officer. Magistrates in Manchester used the new Assaults on Emergency Workers (Offences) Act 2018 to impose the sentence. The legislation means maximum prison sentences for those who assault public sector workers in the course of their duty double from six months to one year. The RCN had lobbied ministers to include nursing staff in the legislation. RELATED: Violence against nurses: are tougher penalties the answer? Last month, health and social care secretary Matt Hancock said the NHS would adopt a zero-tolerance approach to violence against its staff and prosecute offenders quickly, using the new legislation. 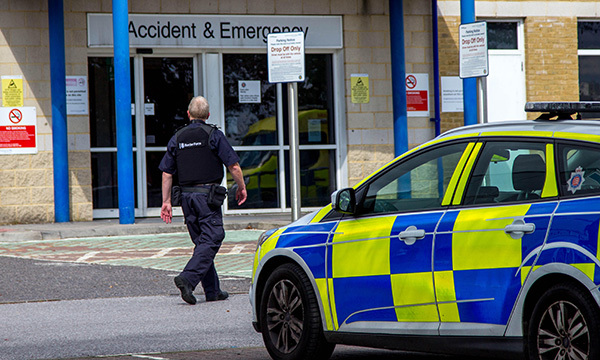 The most recent NHS staff survey showed that more than one in eight health service employees experienced violence in the past year – the highest figure for five years. Greater Manchester assistant chief constable Annette Anderson, said: 'Being attacked when you are simply trying to do your job is something no-one should have to face but being targeted while you are coming to the rescue of others is nothing short of inexcusable.